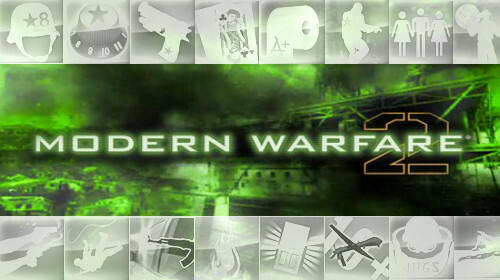 Co-Optimus - News - Call of Duty: Modern Warfare 2 Achievements Unveiled, Lots of Co-op! The Call of Duty: Modern Warfare 2 achievements have just hit the interwebs, almost two months before the game's release. There's a total of 50 Achievements to be had, with over half of them supporting the game's co-op mode called Special Ops. Be warned the single player achievements may spill the beans on the story, but the special ops ones, which we posted below, are light on the spoilers. You have all your standard "kill X guys with this gun" type of thing, as well as achievements based on the number of stars earned in the 23 missions themselves. Page created in 0.2653 seconds.